What was the Ghost Advert? A ghost advert is the remnants of a painted on piece of signwork, often seen on the sides of buildings or bridges before the large hoardings with paper pasted on them became commonplace. There are quite a few around Telford, and I spotted this one as I went to fetch the milk. 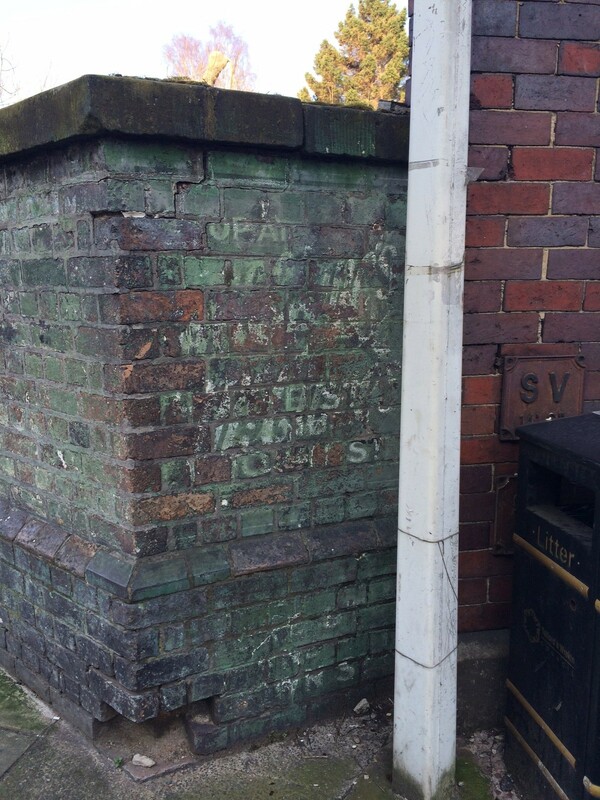 It’s hard to make out from the photograph exactly what is being advertised, but the brickwork is part of the corner of Station Road and Church St/Market St in Wellington. This is formerly the site of an old hotel which was demolished to make way for the railway bridge in the 1800s. Do you have any examples of ghost adverts in Telford, or do you know more about this one? Yes, it was readerble when i was a lad (1950’s) McCluers,Wellington. The double shop was in Duke Street. Another one on side of shop top of New Hall Road,Wellington. SMITHS,Basket Makers.